I have a tracker on this blog. There are some interesting trends and several people keep visiting. One of them is from town and will use the search function to hit several pages. Generally looking for the same things over and over. I kind of wonder what kind of paranoid state they have to be in. I've never named names as I not interested in attacking people publicly. Instead when I tell of a situation I make it as general and genetic as possible. I'm interested in the incident not pointing a finger and saying it wad this person. There is also 4 others very much not local that stop in every few days to read the new posts one every single day. Burge way how do you like the lack of paragraphs? I'm doing this because it's how someone who reads this types just for a friendly poke don't expect a comment they are far to shy for that. Anyway have a wonderful day. 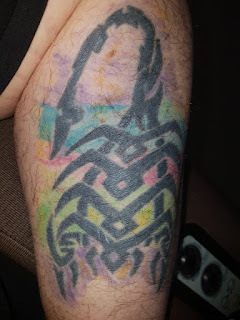 Recently I found out that my brother has died. In fact it was 8 months after that I found out. No one bothered to call and no one got a hold of me. I guess I was not on the call list in the home he was in. As for his son he got hold of me on messenger and it's lucky I even saw the message request. After a brief interaction I found out my brother was dead. I thought about calling my cousins but they have had a sad lack of interest in our lives to this point. I figure they would not care one bit, so why bother. It's strange that after all the stuff he had done I stilled loved him and I cried for his loss. After all he ripped mom off for all she had and we both still forgave him. Maybe it's because I know his life for years was sad and lonely. He was also living in pain, way more than I have. He drank away a family and his friends. He left behind nothing of value. But he was my brother. We where both adopted but he was still like blood to me. Incision spot. Drain hole spot. And patched up. Pusheen FTW. 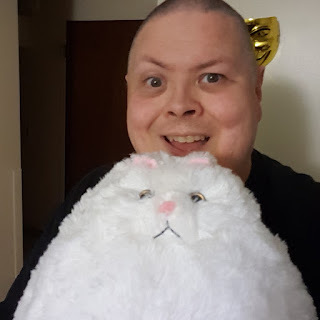 This is Pusheenacorn. I have 11 of the toys and the first one I got is magic. The first one I call my kitten. It's a smaller one (6 inches). When I'm in pain or having a panic attack hold her while laying in bed and it helps. I can't explain why, it just does. I know it can't fix the pain but I tolerate it better with her. When I go to bed or lay down to rest I pick her up, kiss her and Pat her back 4 times. Then say "good night my itty bitty pretty kitty witty". 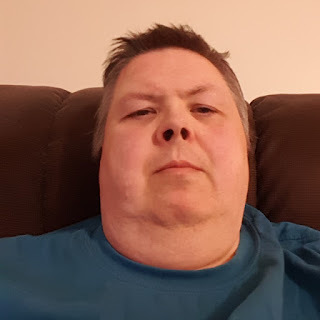 Yes I am a 51 year old man lol. 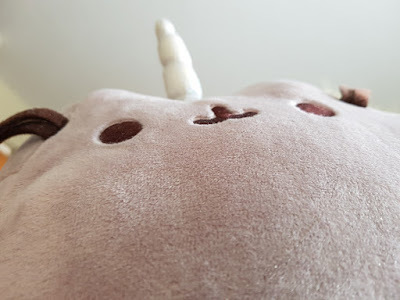 I can't tell you why I love Pusheen so much but when I look at one it makes me happy. Sonya know they where worth it. When I Die I want them to make someone else happy. Anyways I hope you have something that makes you this happy. Life is short and we need to be happy. Playing with an app on the phone. It's fun. 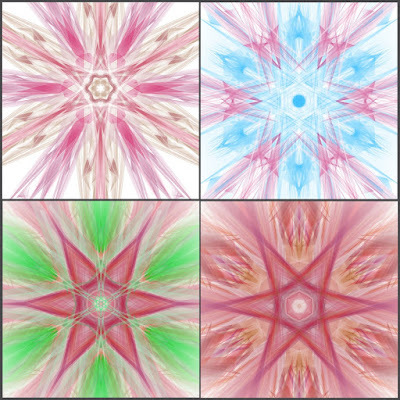 Mirrorgraph 2 is the name. Give it a go. Not a clue so far where this came from but what a mess. 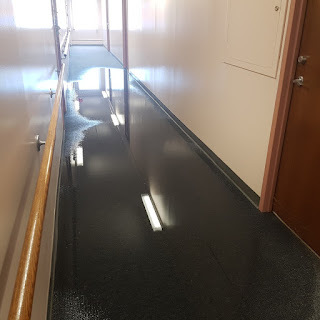 Does not seem to have come from this floor. I also don't see them working on anything so I got no idea. All I know is this ain't good to be happening. I don't relish the idea if getting out if bed into a puddle. 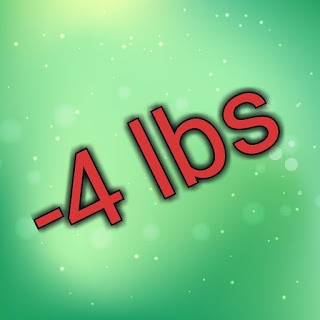 Fridays weigh in set me at 4 lbs down. Being I slipped up and went up 8.8 the week before this is good. I only had a little of plan food so far and won't have any more until Friday, so I should be down again this week. He only thing is I'll be diving into a pile of chicken the last 3 days to get rid of it. Need to clean out the freezer. 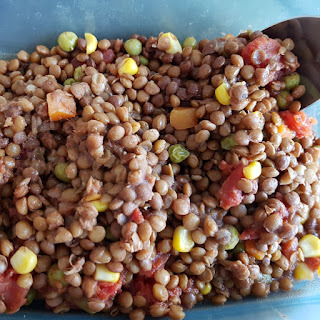 Breakfast and lunch will be lentil soup and veggie with some spice and herbs. Dinner will be chicken chilli soup. I've made the top one for 3 days worth of eating and 2 days worth of dinner. Just nuke it and eat it. 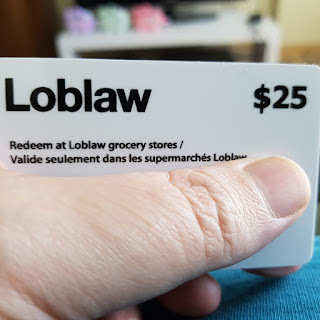 So got my settlement card from Loblaw. It's from a class action suit for them ripping us off for bread prices (price fixing). I used half of it for bandages in case I need them. This dang wound is still not healed after all. Home care patches me up but one might come off in my sleep or something. So got a couple bags if these things from rexal. 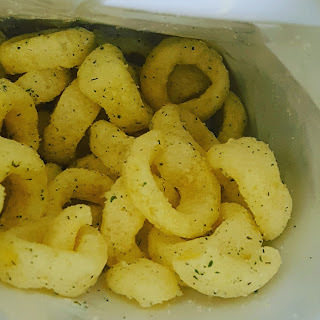 They are sour cream and onion rings. They are puffed up and only 130g a bag so not a big deal for the diet. So good but lots if salt. Something you should have around is a thing like this. 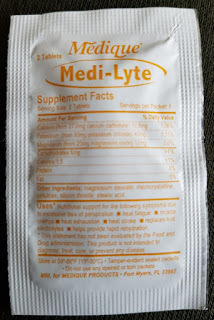 It's an electrolytes supplement. Good for when you have the flu or you got the poops bad like. In those cases it dehydrates you and puts you out if balance. This sort of thing is easy to store and works well. It's also better for you than a sports drink. I keep them in my first aid kit. 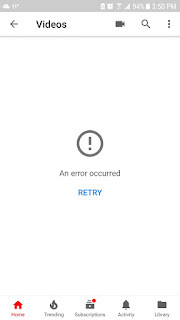 Couple of updates back youtube app started doing this when I try to load my video list .it's only there it does it for some reason. Starting to be a bother when uploading as I have to repeatedly tap retry. Sadly this is not the first time, sometime last year it did the same thing for a while. Another thing is it seems to hide comments at random and they show up ours or a day later. That is just super annoying. That is on the studio app of course. But ya know it's free sort of. I notice on music videos now and then it runs 2 ads before playing the video. Not always but I've run into it several times now. I'm sure this is a ploy to get you to sign up and pay for Red. I'm remembering when I moved in here. Most of the residents are seniors. I arrived to be here for the movers and this was in the entry way. 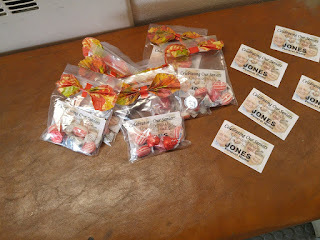 Bags of candy with a card from the funeral home down the block. I about laughed my head off at first then thought what a shady thing to do. So it cracked open and out came white stuff. I really don't need this right now. I can't get to me normal doctor for a bit longer a time than I am willing to wait. So I have to call the clinic tomorrow and see what they can do for me. My friend can drive me but not from 2 to 5 so I'm limited in when I can get there and have no idea when they can get me in. I'm stressed now. Infections are not a good thing these days sigh. No wonder it's not healing. I hope they can get me in early and treated. I hate being in a city where there is such limited options on the weekend. Anyway I'll call as soon as they open tomorrow. I've got to say I expected this to be healed by now. When I had my gallbladder out the wound healed in less time. This spot at the tip of the incision does not seem to be healing and the drain hole does not as well. I was at my doctors yesterday for an unrelated issue and should gave asked about it. This is dragging on... 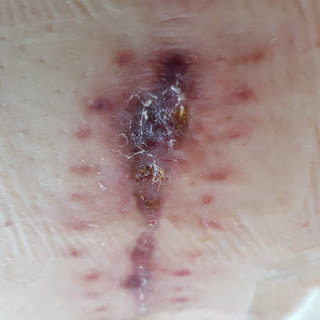 I'm scared to shower as the scab comes off when I do on the incision and it is still open in spots under it, but doing bath just does not get you all clean. I know as we age we heal slower but dang. 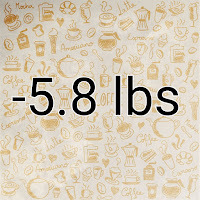 So lost a good amount of weight this last week. I expect to be up some this week as I have been a very bad puppy with food and drink this last few days. But back at it next week. Got this for my phone. 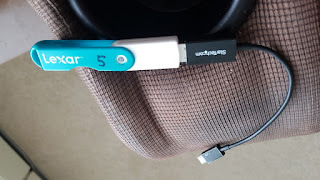 It plugs in and allows me to connect a thumb drive to it. I have been using it to dump video that I want to watch on the TV. Works great and was $10. Well worth it to me. Phone came with one but it's too short to use with a case on the phone. 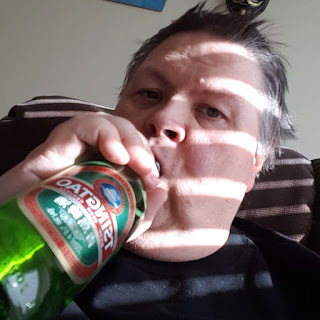 Got into the Chinese beer. Beer and whiskey on the menu Friday night. And several drams of whiskey. Was hard to find the door after this all lol. 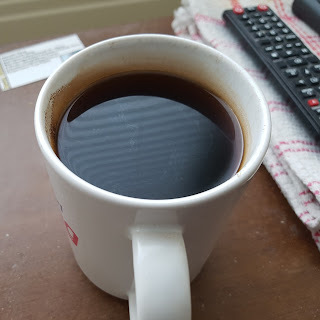 Coffee starts every day. Lentil soup ftw. So more snow in April sigh. Cable crapped out. It does this once a month it seems. 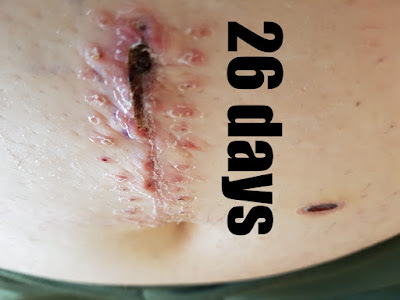 Drain hole scab getting slowly smaller at day 29. 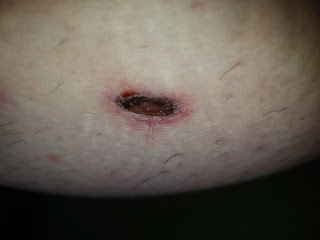 Wound scab did not like my last shower. Some broke off and cracked. Under it seems to be a dark brown thick liquid. From talking to others this is old blood that is pooled up under the scab. Now it's scabbing over again hours later. So taking out the trash is dangerous lol. Scratched the hell out of myself caring a box under my arm. So not really healing that fast. Still got a lot to heal up it seems gunna be one nasty scar to. Last operation healed by this time. Don't know why this is different. 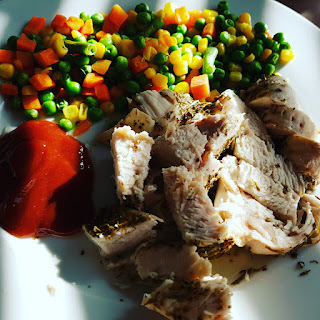 Dinner was Italian roast chicken with veggies and BBQ sauce. The chicken breast as big enough that I packed a third of it in the fridge. Tomorrow's portion won't be quite as big as this one. Might do tomorrow's with cot pepper rub on it. In any event I got 19 days of chicken left the a week of eating vegan before I shop again. Still have to pick up the vegan fixings in a few days.